Heat Presto® Electric Skillet at 300°F. Heat almonds until golden. Remove almonds; reserve. Beat cream cheese, sour cream, yogurt, lemon juice, mustard, Worcestershire, and garlic in large bowl. Stir in artichokes, spinach, onion, cheeses, and hot pepper sauce. Transfer mixture to skillet; heat at Warm until cheese is melted, about 8 to 10 minutes, stirring occasionally. Top with reserved almonds. 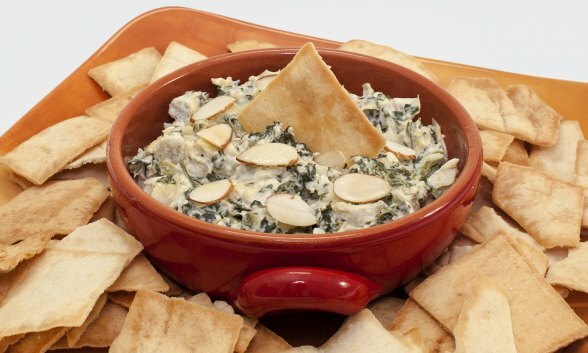 Serve with toasted pita triangles, crackers, or cut vegetables of choice.